This kitchen was part of a new home build and full home design. The homeowners wanted something timeless and very functional as they do a lot of cooking. 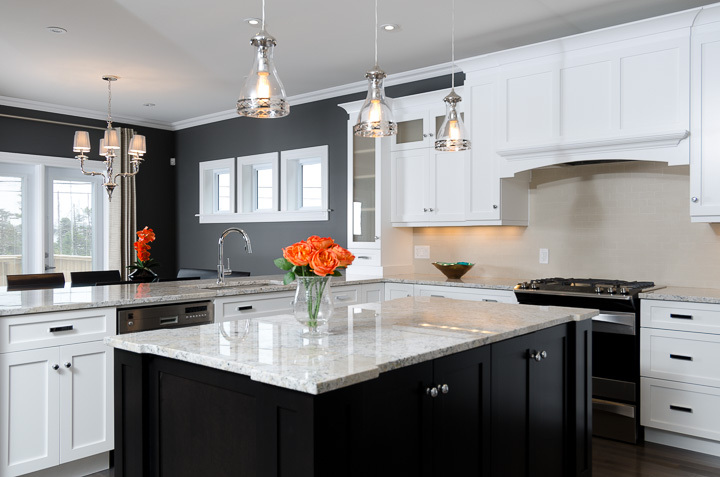 With the addition of granite counter tops, high end lighting and a gas range, Charli achieved the goals that the client wanted. This home also won the 2014 BERG award and was featured in the Spring 2014 issue of Home and Cabin!